Name your favorite celebrity? I bet they have a pot brand. Gone are the days of hawking wine and luxury goods to make an extra buck. The rise of cannabis has attracted movie stars, musicians, politicians, athletes, and people from many other backgrounds looking to put their stamp on the burgeoning industry. Many of the partnerships sprouting up between Hollywood and the cannabis industry are with publicly traded companies. As a result, some celebrities are getting wealthy off pot stocks. Well, if you take a look at this list of 20 Celebrities Who Are Marijuana Enthusiasts, several are already involved in the cannabis industry. I’ve taken some of the people on that list, added a few not mentioned, and created a list of five celebrities who could be in line for an outstanding payday should their pot stocks continue to move higher. When you think of celebrities and pot, Snoop would be on most people’s list. The two go hand in hand. Snoop has been in a partnership with Canopy Growth (NYSE:CGC), Canada’s largest cannabis company by market cap, since October 2016. Canopy’s Tweed Shop online store is selling Snoop’s Leafs by Snoop brand. To celebrate the occasion, Snoop threw a private party in Toronto for his new friends. Since then, Snoop’s cannabis interests have taken off. In March 2018, Snoop’s Casa Verde Capital raised $45 million in venture capital to invest in the cannabis industry. Recently, the musician connected his TV pal Martha Stewart with Canopy Growth CEO Bruce Linton. Stewart is working with the company to create a line of hemp-derived CBD pet products. Snoop and Martha. Together again. The Canopy Growth list of celebrity partners got a little longer March 29 when Canadian actor and comedian Seth Rogen and screenwriter Evan Goldberg announced a partnership with the company. The duo’s brand is called Houseplant. After working together on the film Pineapple Express, Rogen and Goldberg created the Toronto-based company along with some other friends and colleagues. Although no specific financial details were given, Canopy has acquired 25% of Houseplant, invested some working capital, and will provide the facilities to grow. For Canopy’s part, it was careful to point out that its new partners aren’t just figurehead, but actual business owners who’ve spent the past five years preparing to launch the company. Its first product is Houseplant Sativa. It will initially be sold in B.C., rolling out across Canada after that. Pre-rolled joints and softgels will follow later in 2019. All products will be grown and produced at Canopy’s facilities in Smith’s Falls, Ontario, where Canopy is based. I don’t know how many Americans are familiar with the Trailer Park Boys: Ricky, Bubbles, and Julian. However, in Canada, their show ran on an off for close to 20 years. A crazy show that never was expected to go anywhere, the Trailer Park Boys have turned into a global following. It’s for this reason that New Brunswick-based cannabis company OrganiGram (OTCMKTS:OGRMF) partnered with the Nova Scotia trio in November 2016 to produce Trailer Park Buds recreational pot at the company’s facility in Moncton. “This relationship solidifies one of our strategic building blocks as we plan for the legalization of recreational use in Canada. The team at Trailer Park Boys have an aligned vision to develop a National brand with our assistance and we’re incredibly excited at how the partnership will come to life,” Ray Gracewood, Chief Commercial Officer at OrganiGram, said at the time. The interesting piece of this partnership is that the marketing rules surrounding recreational pot in Canada are so stringent, Trailer Park Buds almost didn’t pass the sniff test. Under regulations, endorsements, sponsorships, testimonials aren’t allowed. Neither are promotions appealing to youth or associating with a particular lifestyle. Luckily, almost two years of work didn’t end up on the cutting room floor when recreational pot became legal last October. OtganiGram’s Gracewood commented at the time of legalization that there was enough of a distance between the Trailer Park Boys and Trailer Park Buds to get the green light from Health Canada. That’s excellent news for shareholders. I wanna rock and roll all night and party every day. The words of Kiss’ most successful song roll off the tongue keeping lead singer Gene Simmons in a very comfortable California lifestyle. A natural marketer and businessman, Simmons sensed Cannabis was going to be big and inserted himself into the industry by agreeing to become Invictus MD Strategies’ (OTCMKTS:IVITF) chief evangelist in March 2018. “Three years ago, I was dismissive, arrogant and uninformed about medical cannabis and thought the whole notion of its medical uses as so much smoke and mirrors,” Simmons said in July 2018. Unfortunately, while Simmons was high on Invictus, investors don’t appear to be high on Simmons or the company. Its stock is down 34% since Invictus and the Kiss frontman announced their relationship. However, Invictus paid him $2.5 million in cash, issued 2.6 million shares, with another four million shares to be issued in the future, so he’s got $10 million reasons to get its stock price over $1. The Tragically Hip is one of Canada’s favorite bands. Its lead singer, Gord Downie, died of cancer at the age of 53 in October 2017. The band first partnered with Newstrike Brands (OTCMKTS:NWKRF) in May 2017 before Downie passed away. 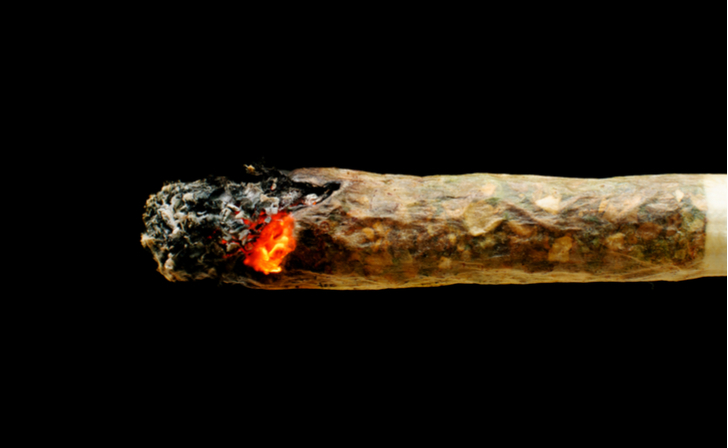 Not only did the members of the band invest in Newstrike, but they also agreed to partner with Newstrike in preparation of the legalization of cannabis in Canada. 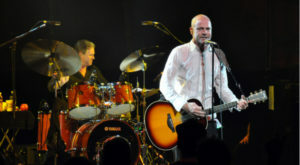 The band did its due diligence at the time and felt Newstrike had all the right ingredients from a scientific perspective to feel comfortable attaching the Tragically Hip name to the company. More than two years later, Quebec-based Hexo (NASDAQ:HEXO) swept in, agreeing to buy Newstrike for $260 million in HEXO stock. Each Newstrike shareholder will get 0.06332 of a HEXO share for every Newstrike share. Hexo acquired Newstrike in part because of the Tragically Hip but also because the company has a partnership with Toronto food company Neal Brothers to produce specialty edibles. That will be very popular with Canadians. Not sure how many shares the Tragically Hip have in Newstrike, but if I were them, I’d keep the HEXO shares they get in the takeover because Hexo’s other deal with Molson Coors (NYSE:TAP) looks to be a good one. 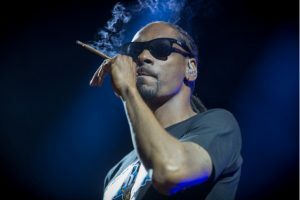 Article printed from InvestorPlace Media, https://investorplace.com/2019/04/5-celebrities-making-money-off-pot-stocks/.